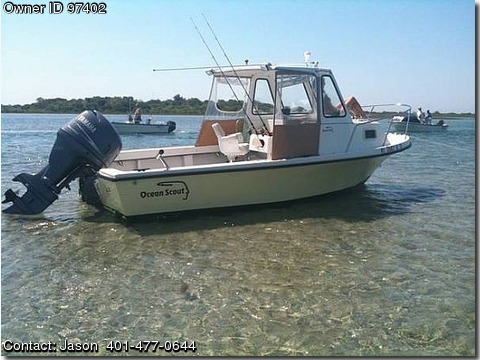 Please contact the owner at 401-477-0644 or jajoubert@gmail.com…1993 Ocean Scout Bristol 20 with 2005 Yamaha 115 HP 4 stroke engine; brand new lower unit in engine installed 2012; low hours on motor (138 Hrs). Newer 50 gallon gas tank. Comes with 2007 Long, dual axel trailer (with spare tire and title), new battery (West Marine 74 gell, 2012), new bilge pump and float (2012), new bottom paint (This Year).